Welcome, my name is Komang Sunia, First of all, I would like to thank you very much for your kind attention and trust to open our website and our company Sunia Bali Tour. 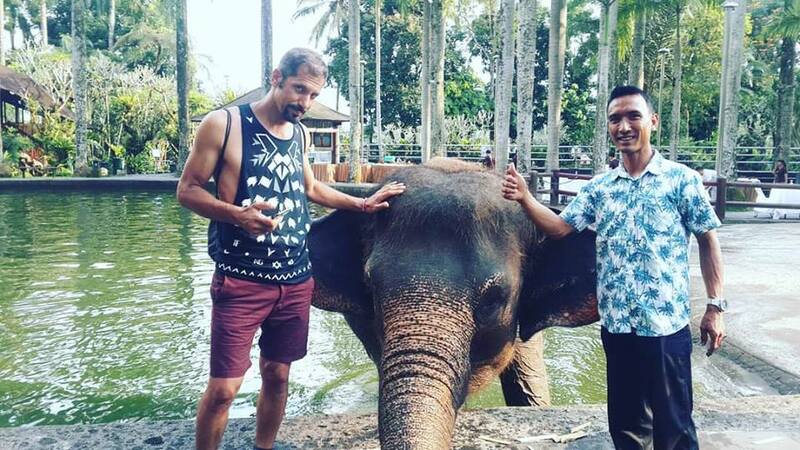 We are an authorized Bali Tour Company with reasonable prices in Bali with more than 5 years experiences and We are proud to offer you to various types of Bali Tour Packages, such as Bali Full Day Tours, Bali Half Day Tours, Bali Combination Tours, Bali Activities Tours and Bali Car Charter during your vacation on paradise island. Bali Full Day Tours Package is an Bali One Day Tours Experience to See Bali Islands With Unique Cultures, enjoy the tours around 10 to 11 hours your holiday. 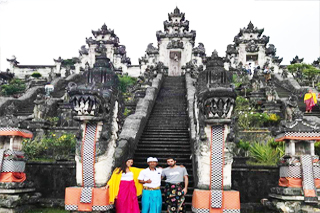 Half Day Bali Tour Package is a Bali Short Day Tour Experience to Visit Half Day Places, Half Day Bali Tour about 5 to 6 hours your holiday in Bali. Begin your Bali vacation the right way with a comfortable and convenient private arrival transfer from Denpasar International Airport to hotel or private residence. 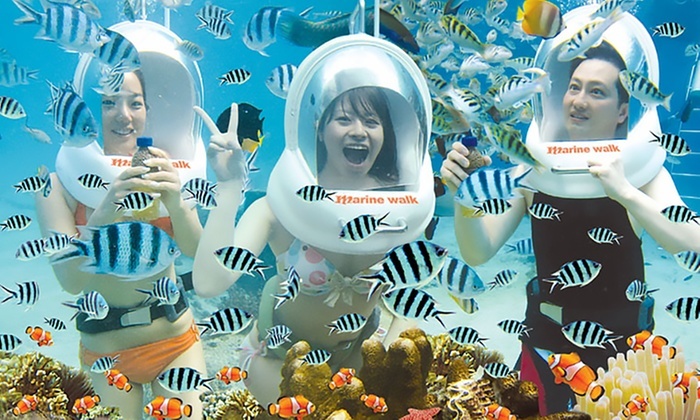 Bali Adventure Activities Packages, to enjoy extreme activities. 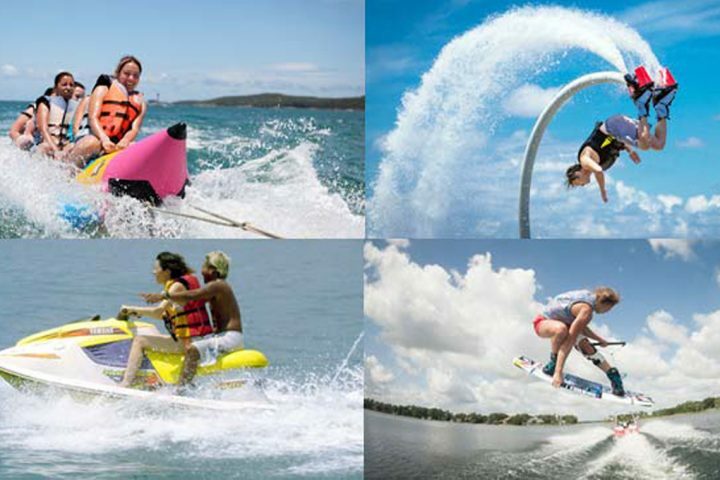 we offer all activities such as diving, surfing, sailing, biking, hiking and other extreme activities. 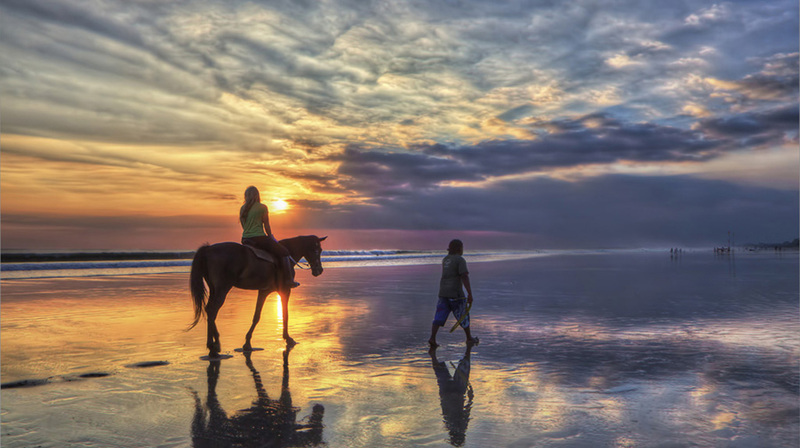 Do you like Travelling With The Sunia Bali Tour ? Make it easy, with Contact us ! The East side of Nusa Penida is untamed, wild and rugged. It is made of beautifully soaring cliffs that drop down to secluded untouched beaches below. Explore east of island destinations, beautiful places and offer interesting spots during your holiday. The journey is begun upon our staff tour driver pick up at hotel by give very welcome smile. First journey in Exotic East Tour Package is to visit Atuh Beach, pristine beach hide in small bay. Then trip continue to visit the Titi Bahu Cliff and Mollenteng Tree House. This site serves perfect landscape with some small islands and blue of Indian Ocean. Continue to other site, enjoy green view of Teletubbies Hill. On your way back, stop for while in Suana Point. Last visit is Giri Putri Cave Temple, one of island sacred temple inside the cave. The way to enter is really small, only on person can in at once but very huge inside. 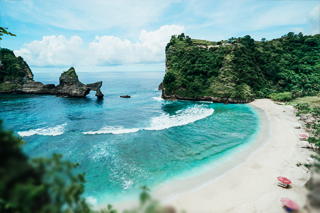 Atuh Beach on Nusa Penida or Pantai Atuh as it’s known in Bahasa, is one of the most epic beaches in Bali. It’s a rough drive and a short hike down to the beach but boy oh boy isn’t this incredible little bay worth it! Some of the photos in this post were taken at high tide and others at low tide. You will notice the difference. Like many spots on Nusa Penida, the roads to Atuh Beach are unforgiving. Loose gravel and potholes are the enemies as you try and navigate your way to this epic beach. 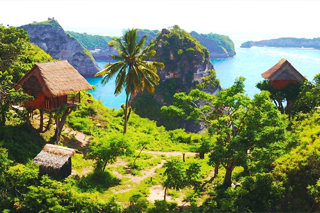 The Nusa Penida Treehouse (Rumah Pohon) is located within the Thousand Island viewpoint. 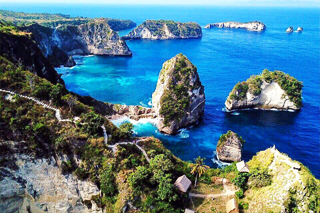 The viewpoint is one of the attractions on the island and looks along the beautiful coast of Nusa Penida. It’s not far from the famous Atuh Beach and it could be a good idea to combine these two spots into one day! Ubud is 49 km from Rumah Pohon Tree House, while Nusa Dua is 43 km away. The nearest airport is Ngurah Rai International Airport, 50 km from Rumah Pohon Tree House. 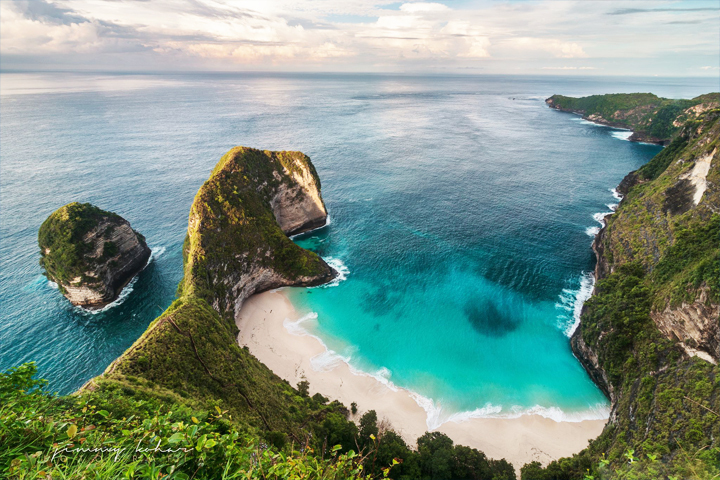 Nusa Penida, Bali is one of the tourist attractions that has become a destination for both foreign and local tourists. This island, which is located on the east side of the island of Bali, presents many beautiful beaches, and is rarely known to people. Together with suniabalitour.com Explore the attractions in the Raja Lima Bukit Atuh region, which is located in the eastern part of Nusa Penida. 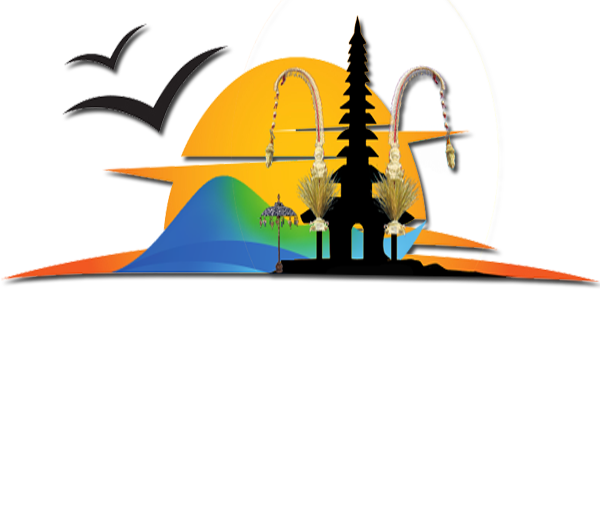 Explore east of island destinations, beautiful places and offer interesting spots during your holiday with Sunia Bali Tour. Do you remember about Teletubbies? Once this movie is very famous, there are 4 funny characters namely Tinky Winky, Dipsy, Lala, and Poo. They became residents of Teletubbies Hill. 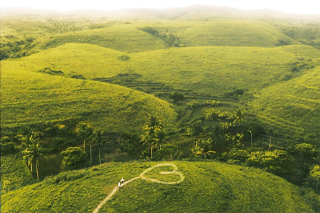 Apparently, in Nusa Penida Hill there is same with Teletubbies Hill. The name of the hill was created by tourists who visit there. Nusa Penida is remarkable, all the places that are there have uniqueness. There are many green dunes that adorn these hills, the distance between the hills with one adjacent semicircular shape. 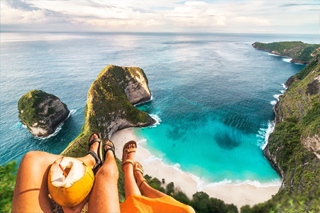 Bali Nusa Penida Tour is one day tour package we created to give you opportunity explore the beauty tourist destination with sunia bali tour in this Nusa Penida Islands. Nusa Penida ( The Golden Egg of Bali Island ) is a small island which is part of the island of Bali, to get there the only transportation is by sea using Speedboat. Nusa Penida Island has a lot of interesting tourism objects, in this Nusa Penida tour package we choose the most famous tourism objects with their natural beauty and amazing view. Adventure starts when we pick up at the hotel in the morning and go straight to the harbor in Sanur and we will take a speedboat to get to Nusa Penida Island, arrive at Nusa Penida islands you will be welcomed by our local driver partners at Nusa Penida and get ready for the tour around the beautiful island of Nusa Penida. 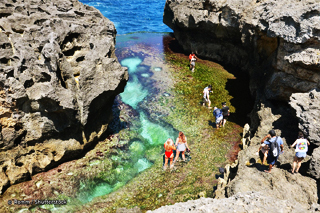 The first object visited in the Bali Nusa Penida Tour package is Angel Billabong, a lagoon on the rocks that has a beautiful view, then we visit Broken Beach with a beautiful view and suitable as a place to take pictures, after that the Nusa Penida tour continued to visit the Kelingking beach, this is the most famous object in Nusa Penida village because this object has a very amazing view, our local driver will always help you if you want to take a photo with the kelingking beach background, after that we continue the journey to go to the restaurant for enjoy a Lunch with Indonesian food, after finishing lunch the nusa penida tour continue to visit the last object in this trip is visit Crystal Bay is a beach with a beautiful view. After that we go to the dock to take a speed boat and head to Sanur harbor, at the Sanur harbor, our driver is waiting to take you back to the hotel with a very memorable memory in this Bali Nusa Penida Tour Packages. different place in other island, visit and enjoy. 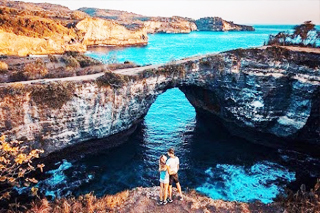 is one of the most famous tourist objects Bali Nusa Penida Tour packages, this tourist attraction is the most visited object and is a top one tourist destination in the village of Nusa Penida. Kelingking beach is a tourist attraction that is often used to take photos because the scenery offered is spectacular. Kelingking in English word mean Pinkie finger, the origin of the Kelingking name comes from the shape of the rock on the beach is look like Pinkie finger the local people named this place with the name of the Kelingking beach. Crystal Bay is one of the famous objects in the village of Nusa Penida, this place is the last place visited in Bali Nusa Penida Tour packages. This place is also famous for the beauty of the beach and is often used by tourists for swimming, snorkeling and sunbathing on the beach. On the beach there are some coconut trees which make the view on the beach more beautiful. With clear water and calm waves, this place is ideal as a place to snorkeling in Nusa Penida. The name of the Crystal Bay comes from beach water. 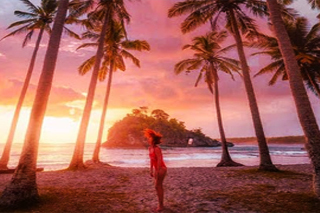 Broken Beach is also one of the attractions located in Nusa Penida, this attraction is also often visited by tourists and is always in the Bali Nusa Penida Tour program. Broken beach offers very beautiful views with rocky holes in the middle offering unmatched beautiful scenery. Broken Beach said according to the local belief that there was a settlement in the past where and when people here killed large snakes for sale and their meat was distributed to the local community, the gods were angry and made the land. the famous tourist destination in Nusa Penida, this site always includes in the program of the Bali Nusa Penida Tour package. The Angel Billabong is a natural rock lagoon with beautiful scenic seascape located in the shore that offer amazing view, this place is often visited by foreign or local tourists to enjoy the beautiful scenery. You can go down and see from near the beauty of this nature form rock and also you can swim in this nature lagoon if the water is low tide, if water high tide is not allowed to go down to the lagoon. 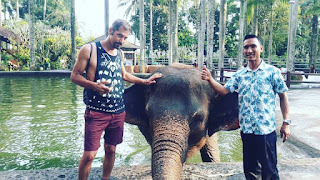 East Bali Tour is a Bali Full Day Tour Packages is to Visit places of interest in eastern part of Bali Islands with Sunia Bali Tour professional Balinese Tours Driver as your guide. East Bali Tour will visit tourist destination like Goa Lawah Temple is a Balinese Hindu cave temple where thousands of bats have a nest inside of this cave, Tenganan Village Is a traditional Balinese country side with unique cultures and social life, Tirta Gangga is a beautiful garden with water fountain and fish pond surrounds and Ujung Water Palace Is beautiful garden with fish pond surrounding the old building that is one of Karangasem Empire's omissions. 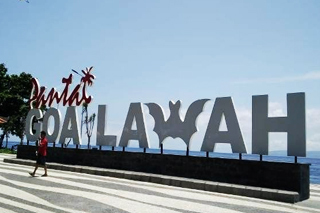 East Bali Tour is exploring the tourist destinations in east part of Bali with unique of local society life and pass through the beautiful beach of Candidasa. 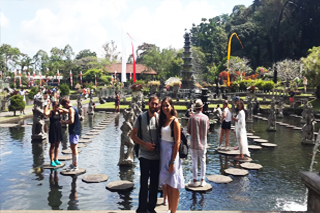 It is a Private Bali Tours offering you a memorable experience of the local region along with our professional who is always providing our best service. East Bali Tour will more enjoyable with our Bali Tours Driver and full air-conditioning car transfer. The delicious set lunch will be served at local restaurant to complete your East Bali Tour with a memorable one. 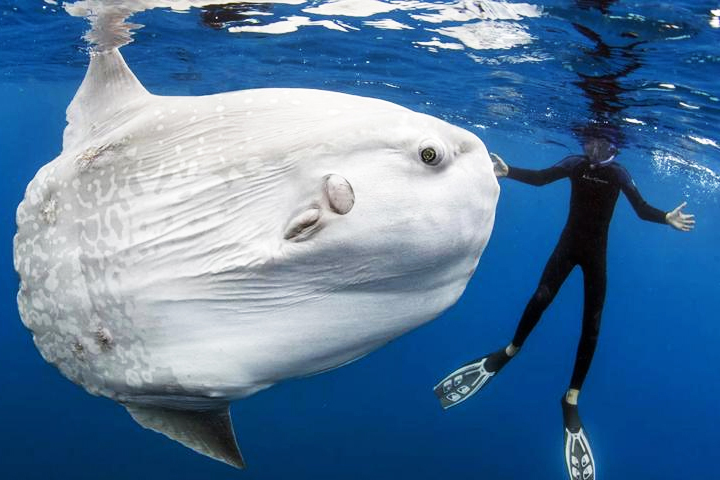 Below is short description places of interest will be visit during East Bali Tour. Is a shrine cave where thousands of bats have a nest inside of this cave. First site we will visit during East Bali Tour is goa lawah temple. There is big temple used by Balinese Hindu as a place to worship to the god. This temple is one of the biggest temples in Bali and the location is strategically beside of main road from Denpasar to East Bali Islands. The blue ocean is just apposite of this temple with the black sand unfolding throughout the coasta. In Goa Lawah consists of two syllables of the cave. Is a traditional Balinese country side with unique cultures and social life from the local community. 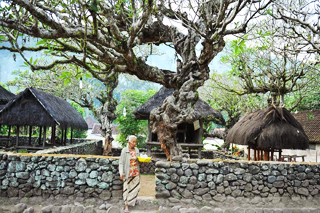 It is one of the ancient villages in East Bali Islands where its society life different from the other village exist in Bali Island. Last visit during East Bali Tour is Tenganan Village. The societies of Tenganan Village strongly keep the unique activities and custom rule that is one of the fascinations for tourist to visit. The house building is kept originally including the model and function to support the rule of village. Is a beautiful garden with water fountain and fish pond surrounds at East Bali Islands. This garden is built by King of Karangasem for their relaxation with their family. Amazing place for visit during East Bali Tour. This garden is utilized by empire family for bathing place and now have been arranged natty and fascinate. There is big clean water source that is poured into a channel and go to the tower to make a water fountain. The water palace of Tirta gangga was built in 1948 by King Anak Agung Anglurah Ketut Karangasem. Lempuyang Temple, locally referred to as Pura Lempuyang Luhur, is one of Bali’s oldest and most highly regarded temples, on par with Besakih (aka the ‘mother temple’ of Bali). It is also believed to predate the majority of Hindu temples on the island. Definitely a highlight on any travel itinerary for the fit and adventurous, the main temple lies at 1,175m above sea level, up on the peak of the namesake Mount Lempuyang in East Bali. The heights are reachable via a steep staircase of over 1,700 steps. My name is my own that I use to name my transport, so friends can easily remember me when the plan came to Bali for vacation. We give you the best price for your holiday in Bali, and happy to make the best holidays plan for you in Bali Island, until you enjoy it. We always provide the best and timely for your holiday arrival, Your satisfaction with our services is my priority for you in Bali. My contacts are always active for you, and feel free to contact me via WhatApp, Email, and find my transport location google map.